Cash for College encourages Alabama high schools to rally around Free Application for Federal Student Aid (FAFSA) completion. The FAFSA is required for any student seeking federal and state financial aid, including grants and loans in all colleges. According to the US Department of Education, 9 out of 10 students who complete a FAFSA attend college the following fall. Many Alabama students qualify for Pell Grants of up to $5,815 per year. Pell Grants do not have to be repaid. 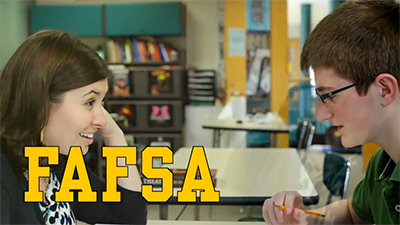 FAFSA On the Web – Submit your Free Application for Federal Student Aid. Federal Student Aid – Your source for free information from the U.S. Department of Education on preparing for and funding education beyond high school. Net Price Calculator – Calculator developed to help families plan for educational costs at Wallace Community College. Alabama Career Information Network – resources for students, parents, educators and counselors regarding education and career planning.